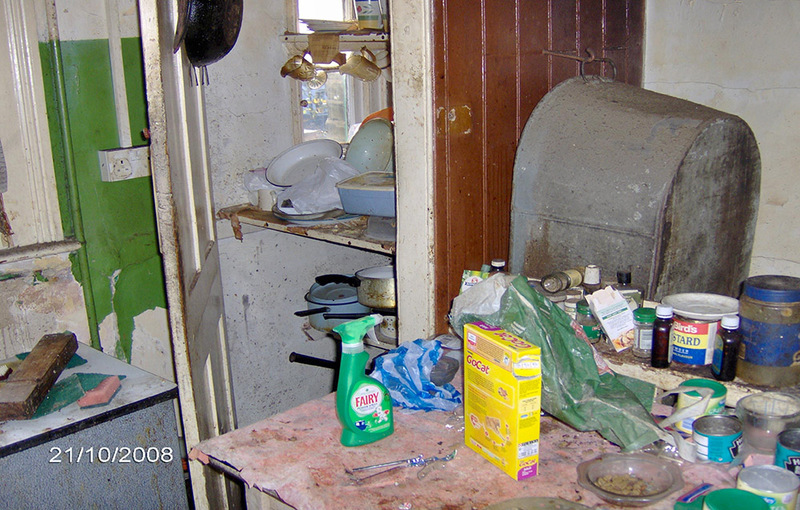 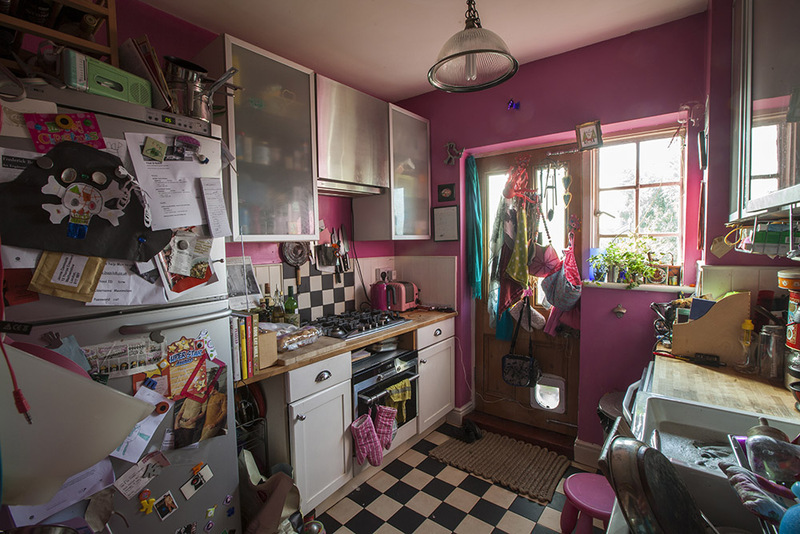 The original Victorian kitchen was used as an everyday living room and was the centre of family life. 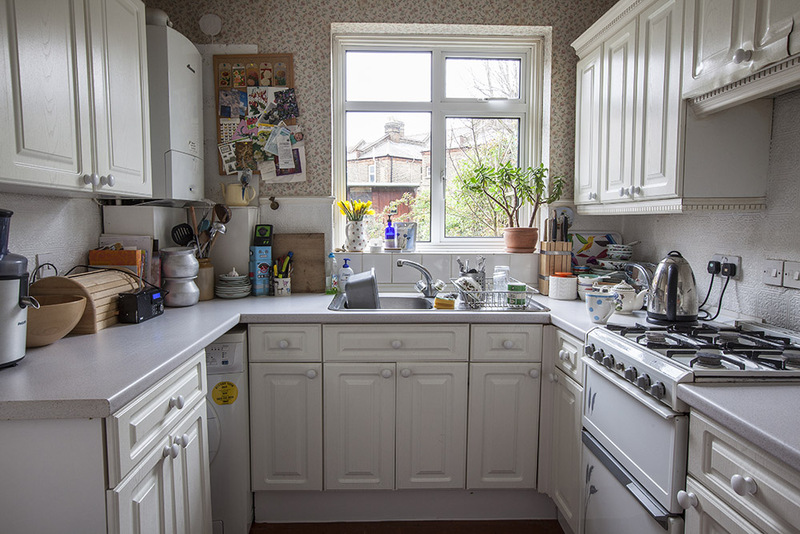 Kitchens in two bedroom flats generally looked out onto the garden and were equipped with a dresser, cupboard, ventilated larder and a cast iron range (also known as a ‘kitchener’). 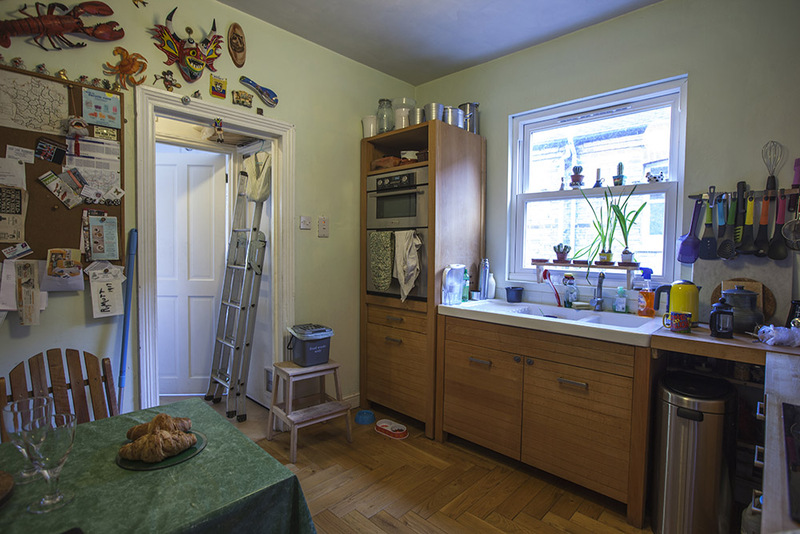 In one bedroom flats the room was located between the bedroom and scullery, and unlike larger flats had no provision for storing of food. 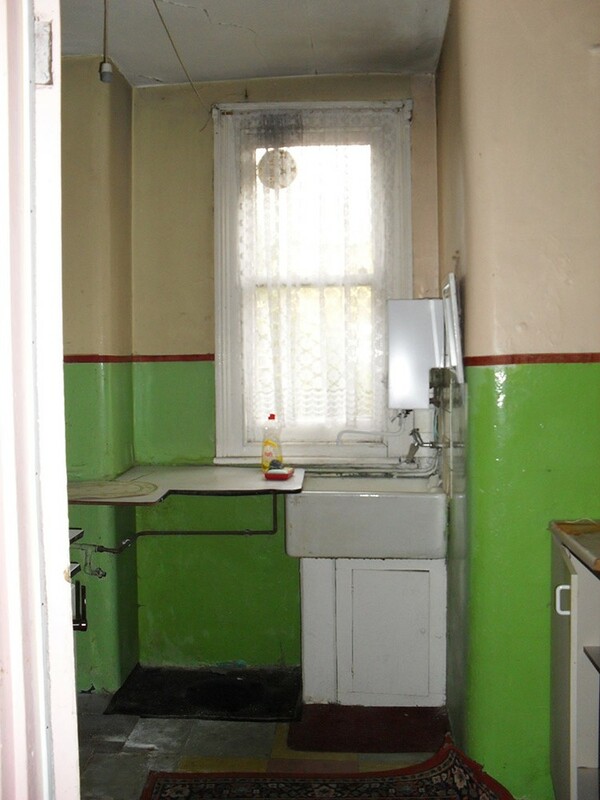 While the parlour and bedrooms were fitted with fireplaces, the range was usually the main source of heating in the flat and hot water was also drawn off for bathing. 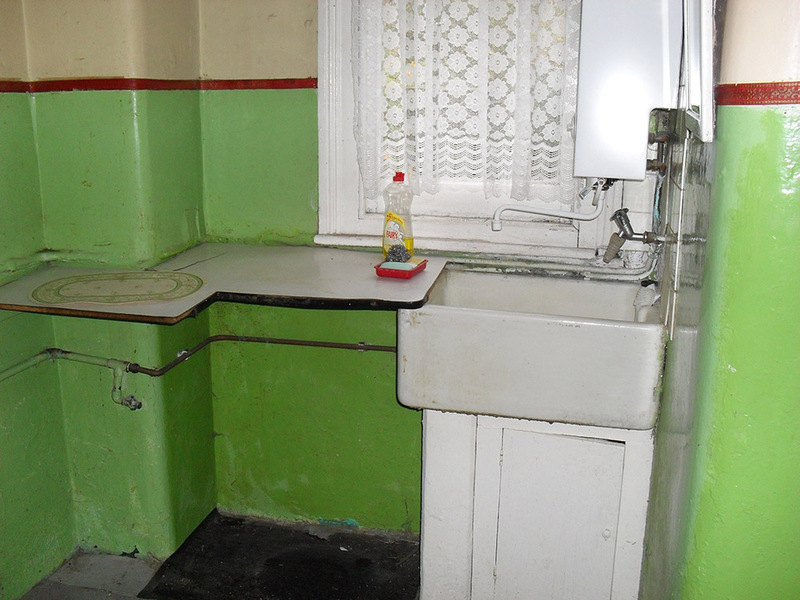 The range had to be regularly black-leaded to protect against rust, a time-consuming process. 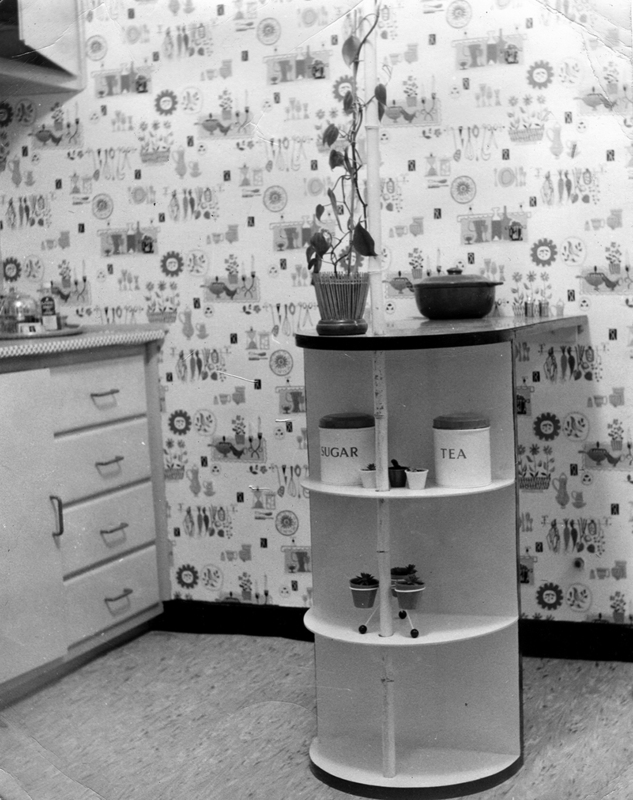 Walls were originally decorated with patterned wallpaper, which imitated wood grain. 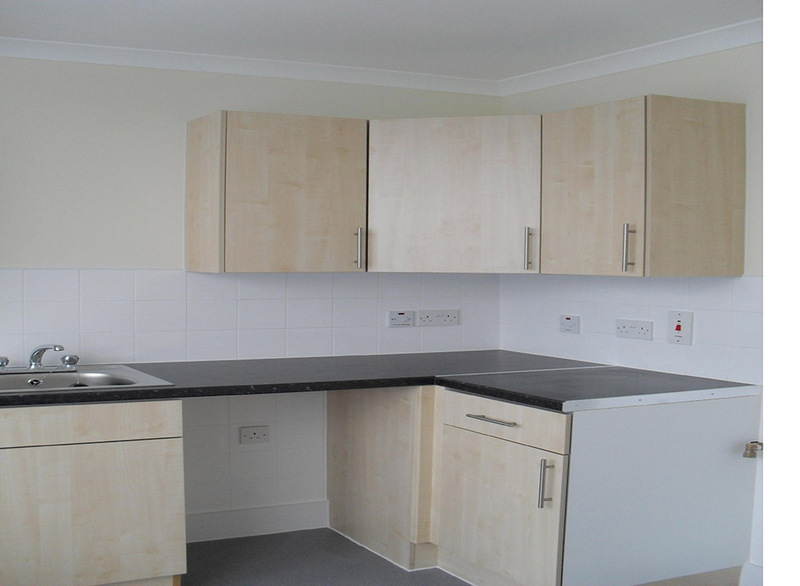 In the late 1930s some two bedroom flats on the Winns Estate were modernised. 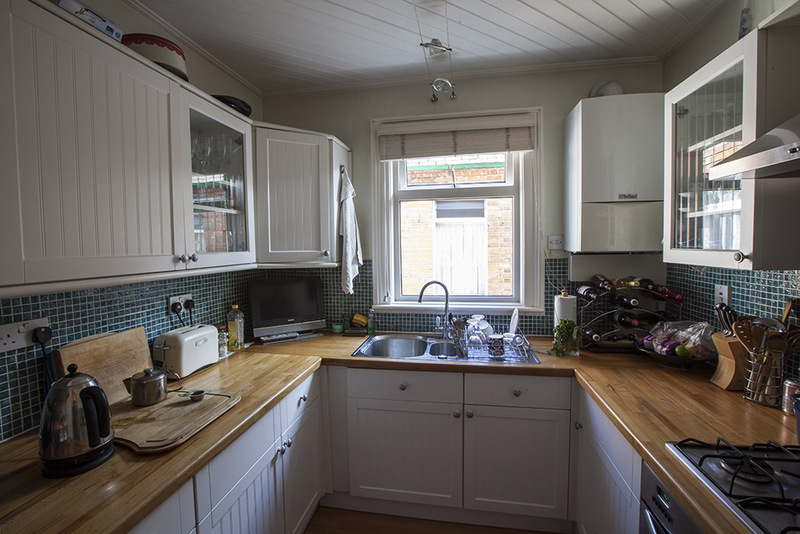 Kitchen ranges were replaced with tiled surrounds and/or oak mantels, with a cast iron back boiler and copper cylinder providing hot water. 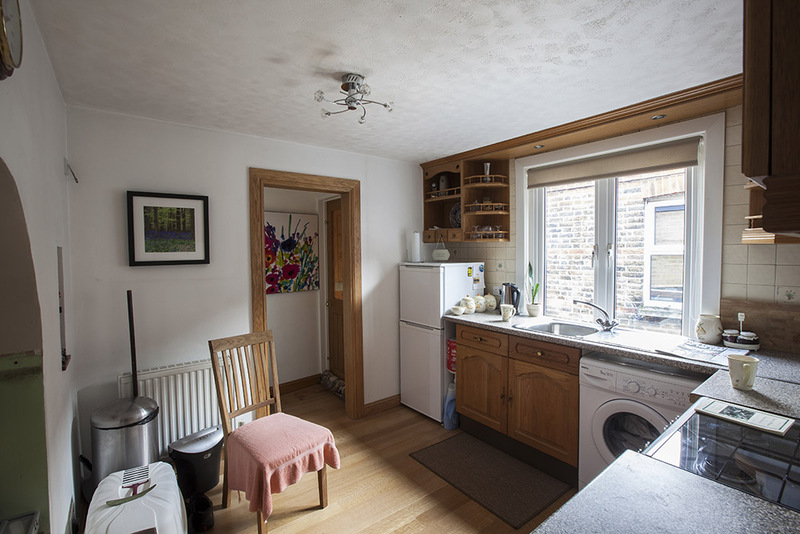 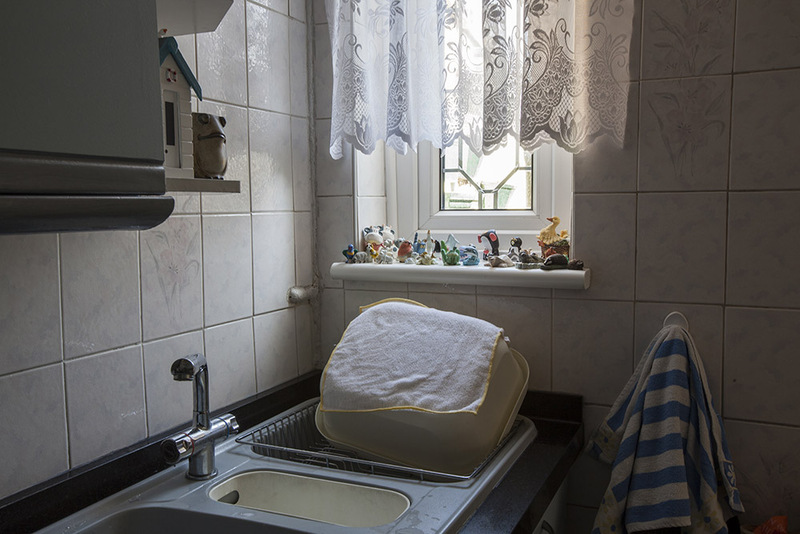 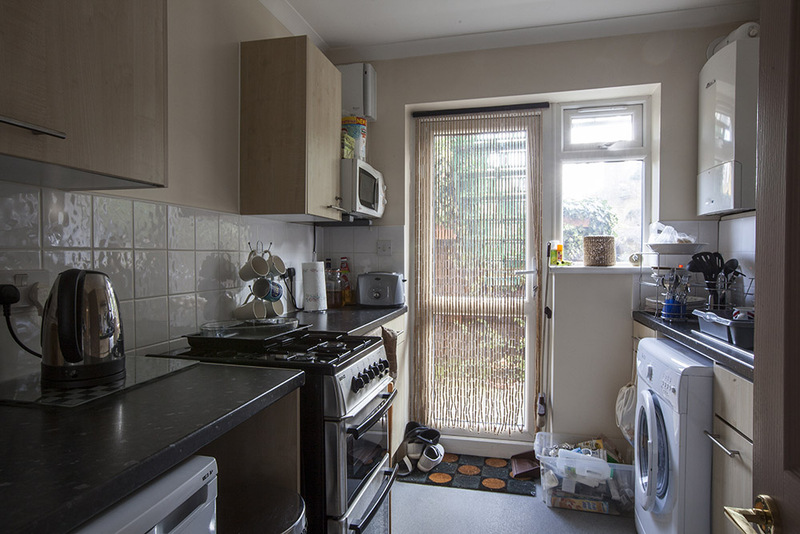 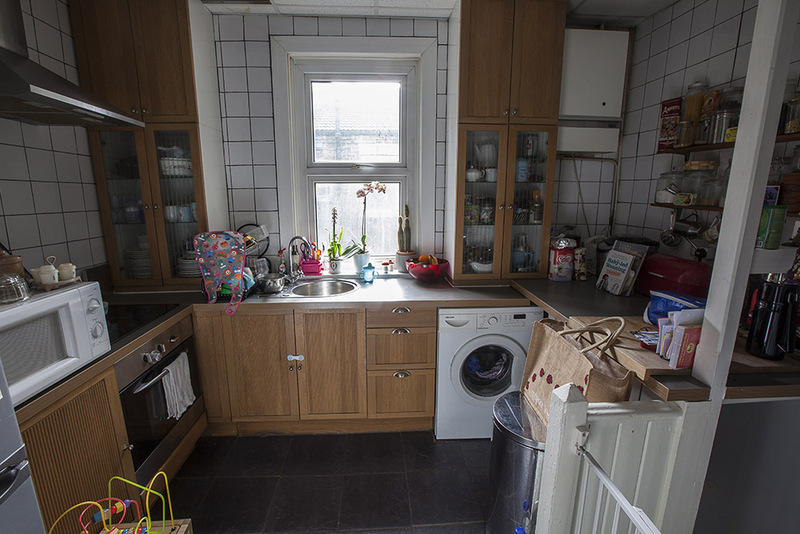 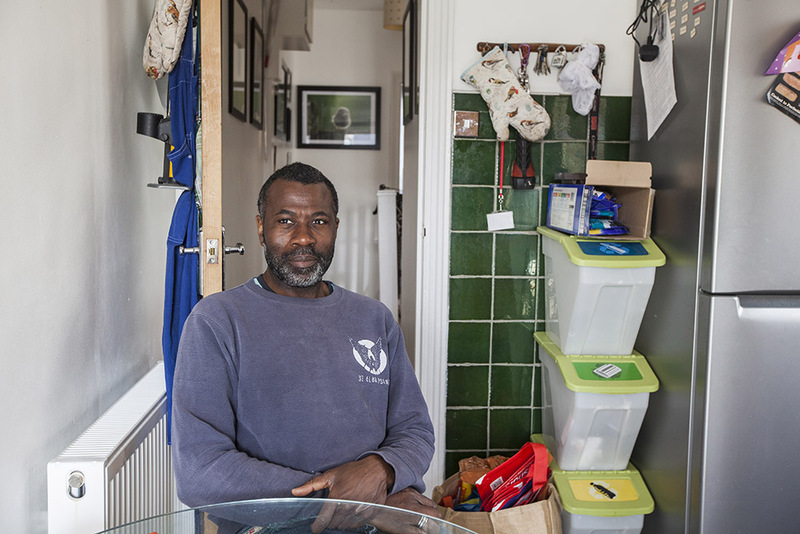 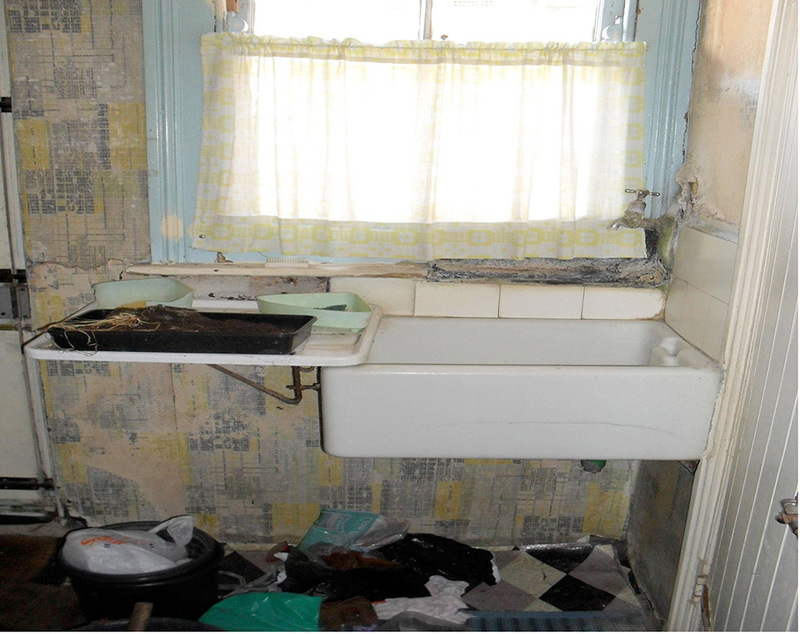 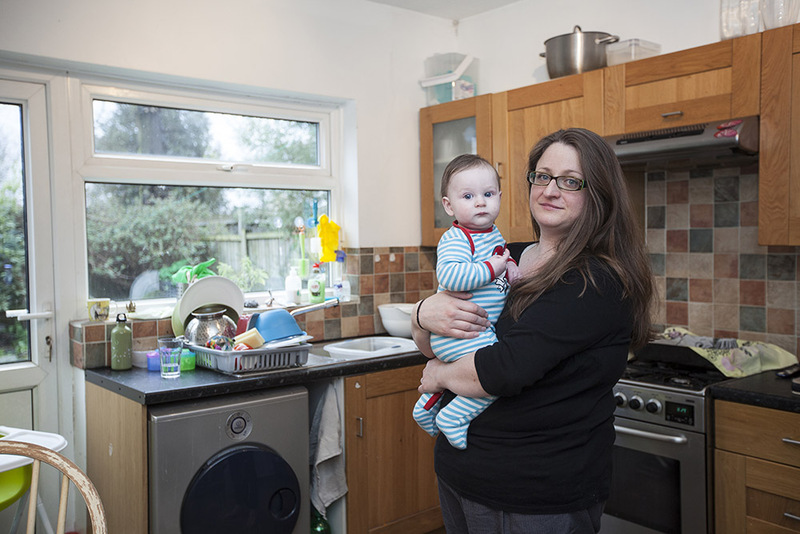 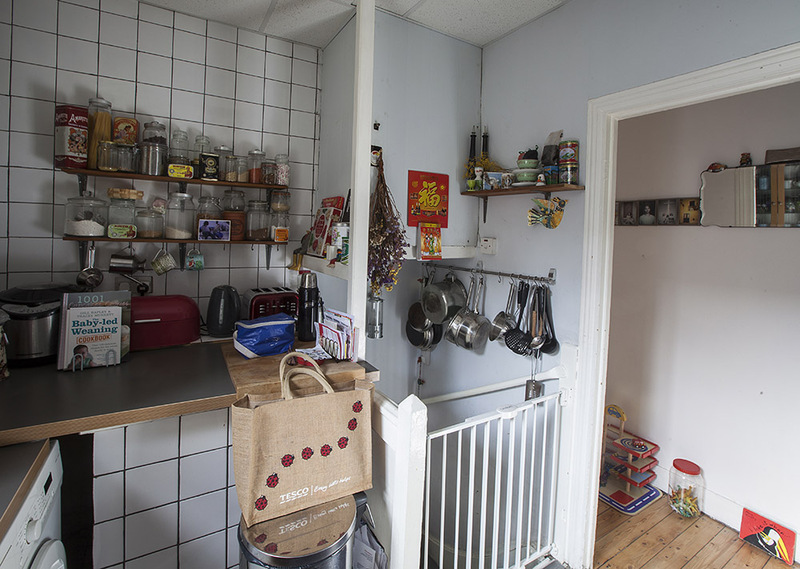 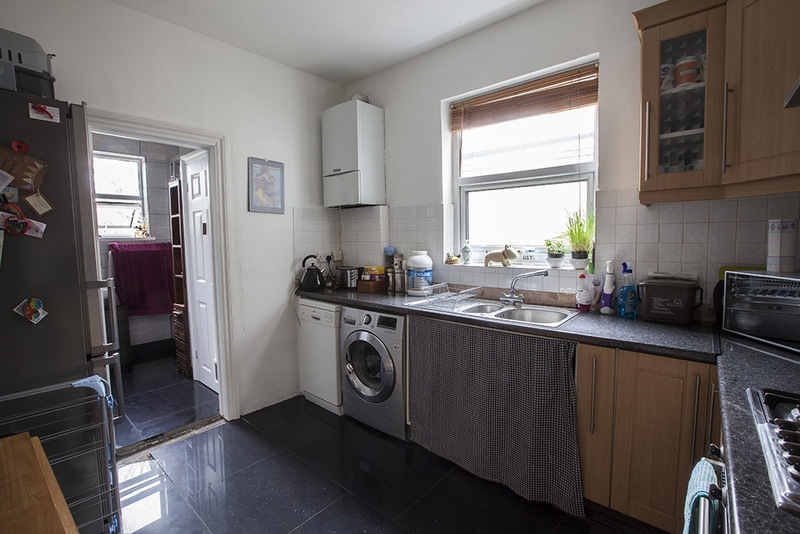 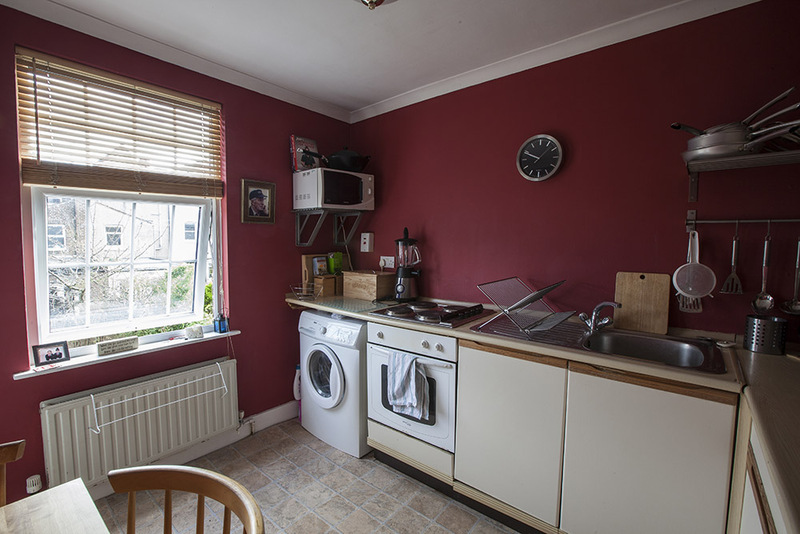 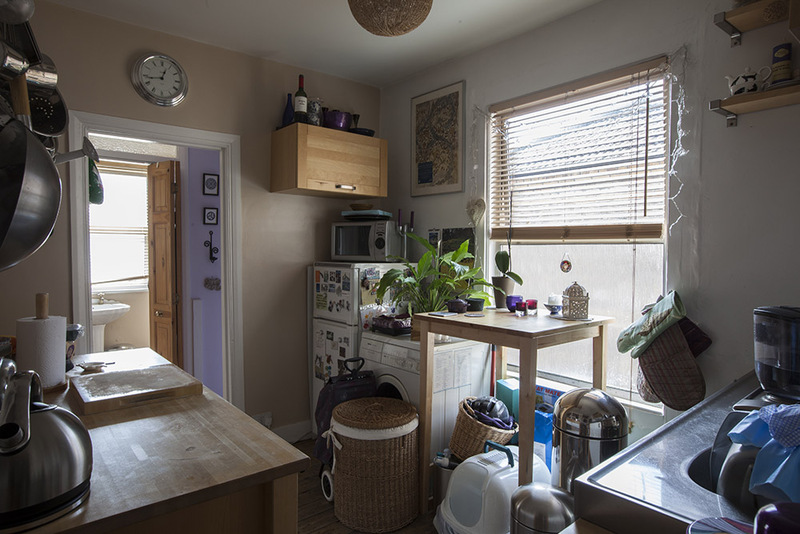 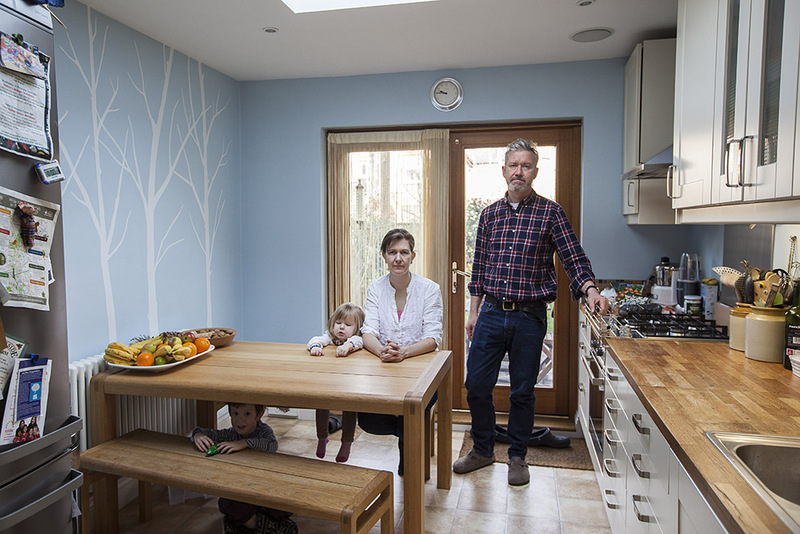 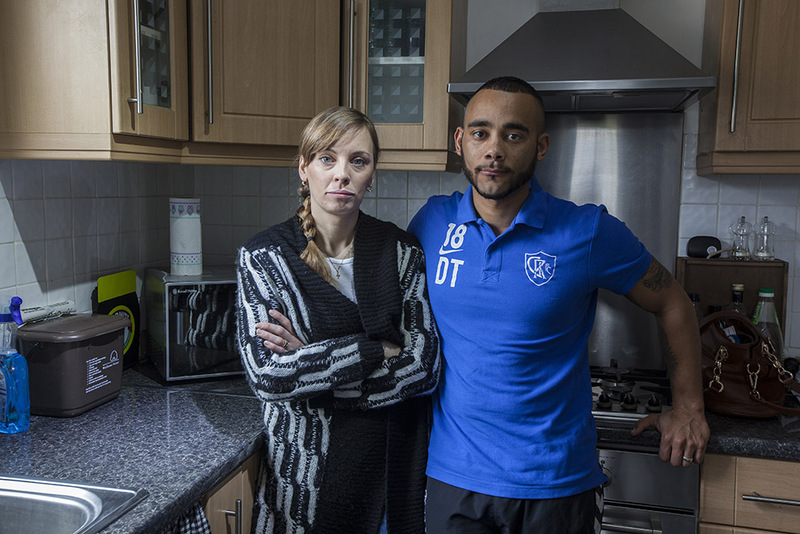 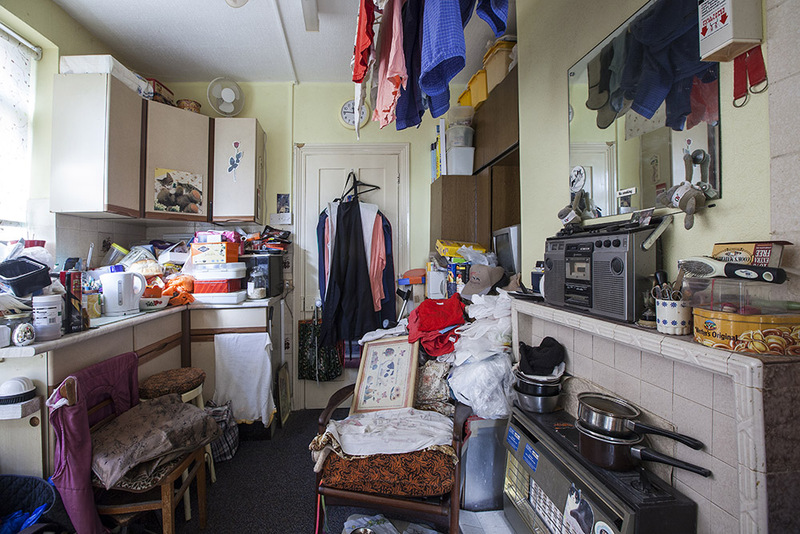 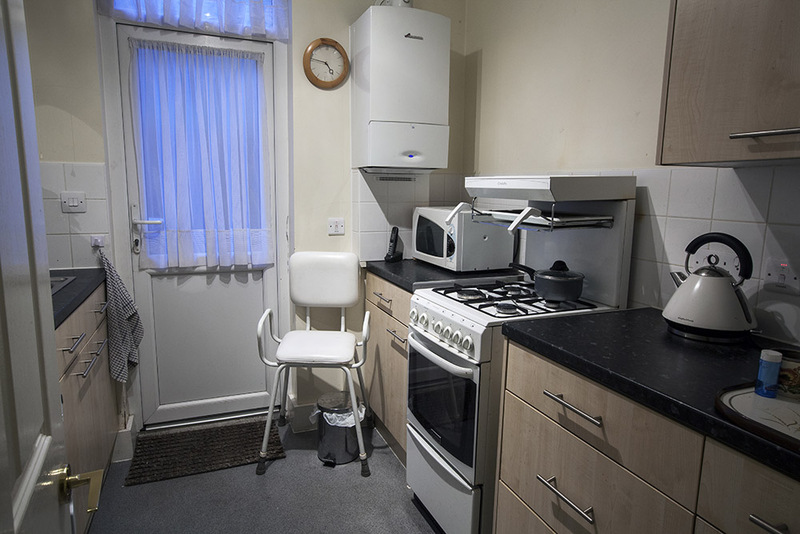 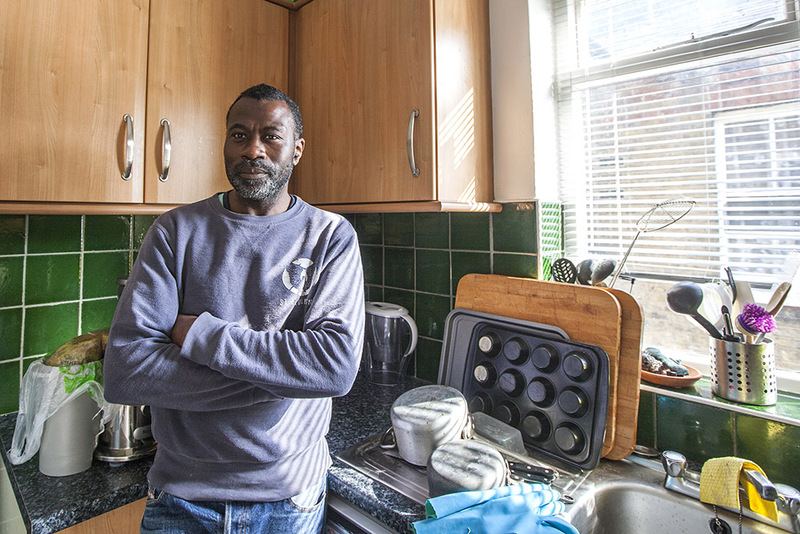 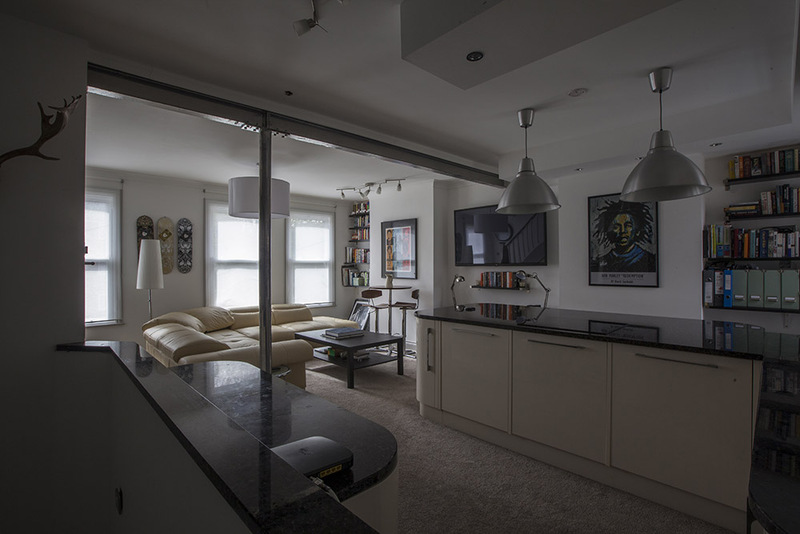 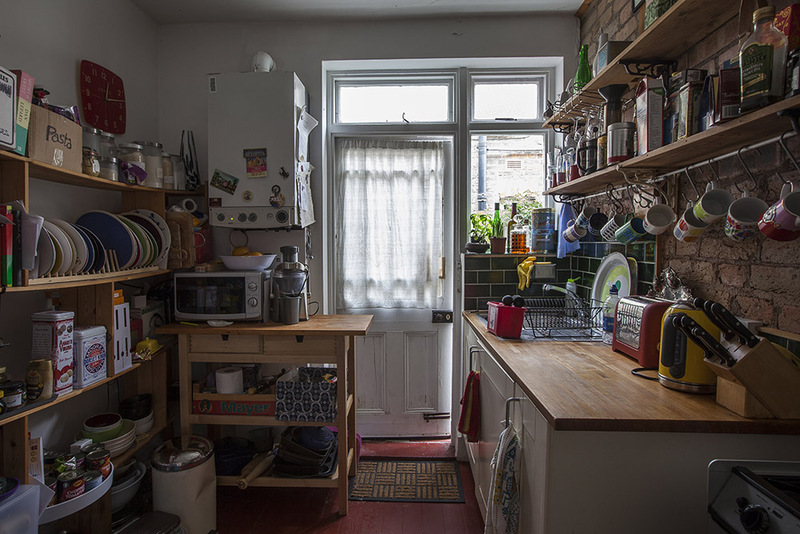 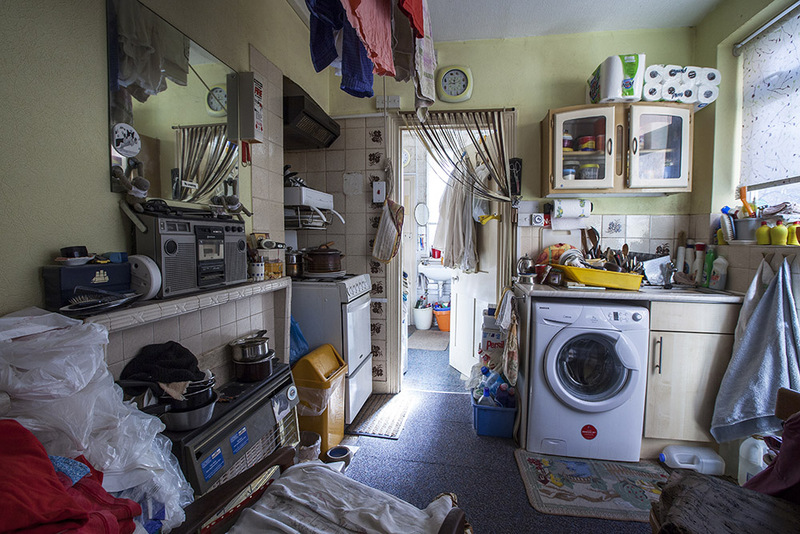 In some flats, including those on Brettenham Road, the small second bedroom became a kitchen. 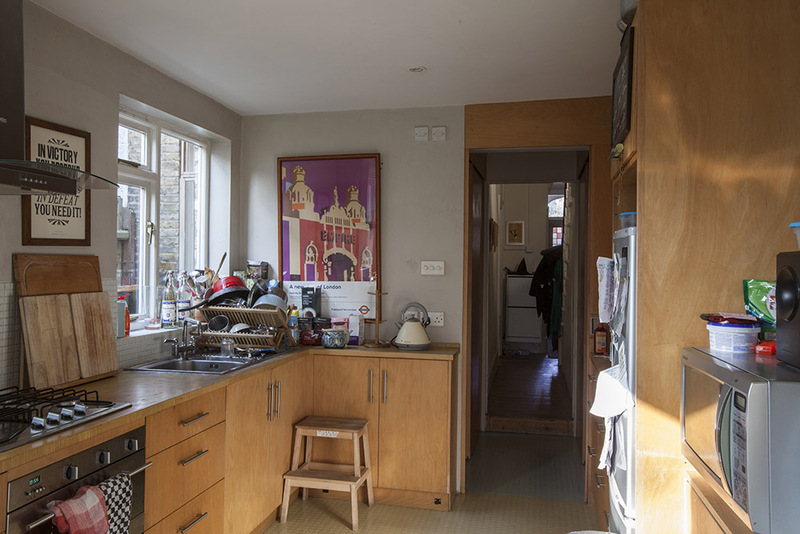 The 1953 modernisation scheme for one bedroom half- house flats included replacing the original window overlooking the side return with a new doorway with side windows. 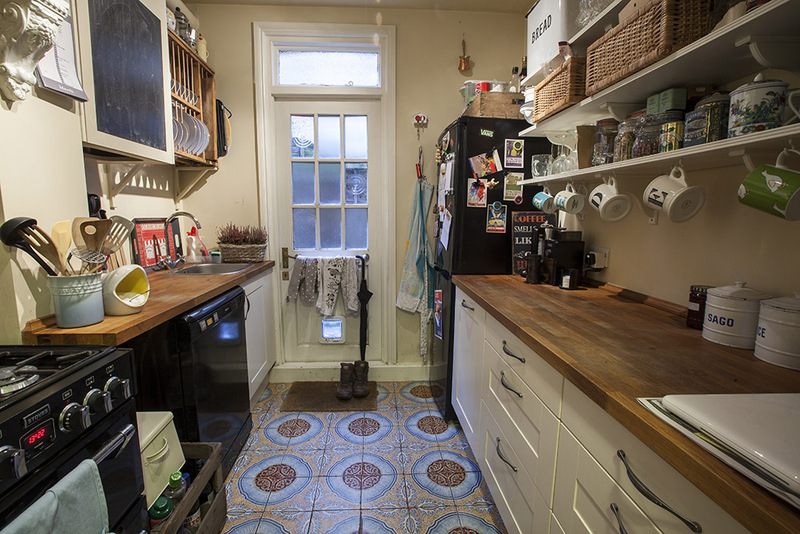 Sinks were moved from the scullery to one side of the new doorway and food cupboards with a tiled cold shelf installed on the other. 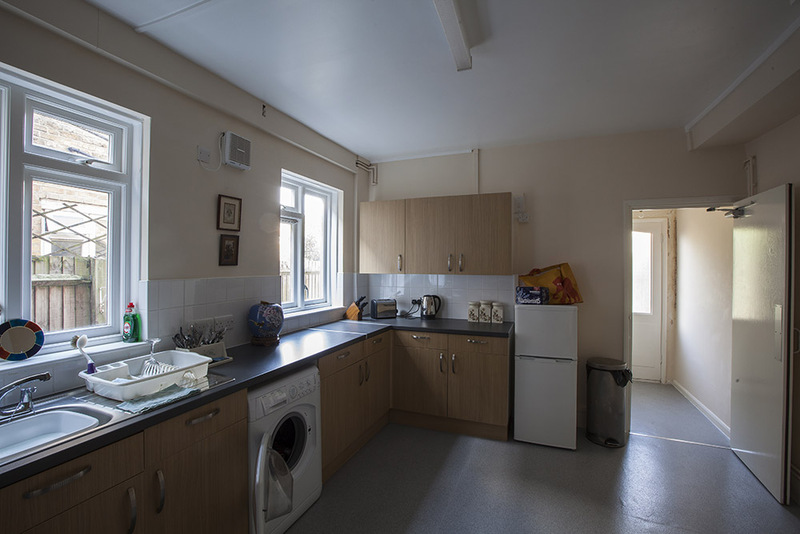 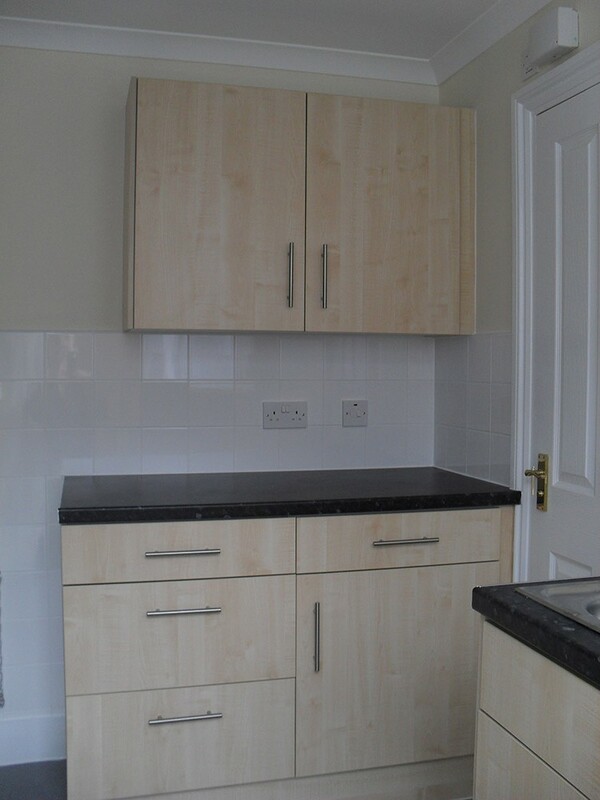 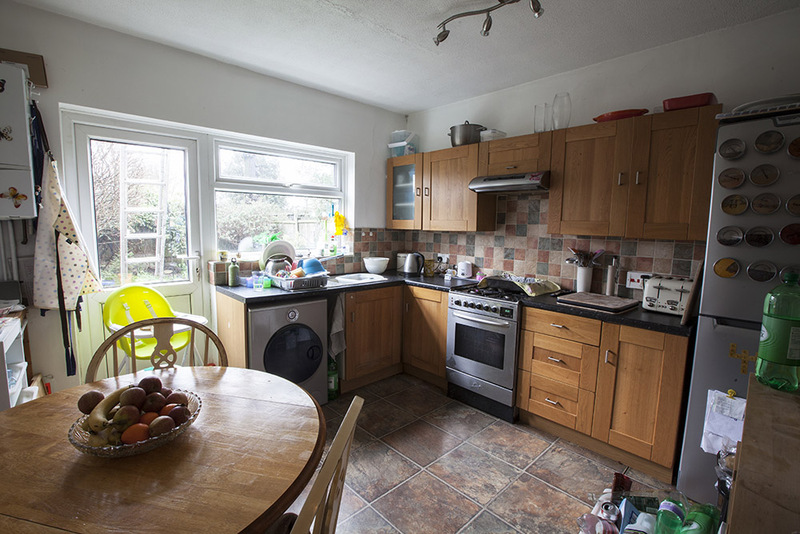 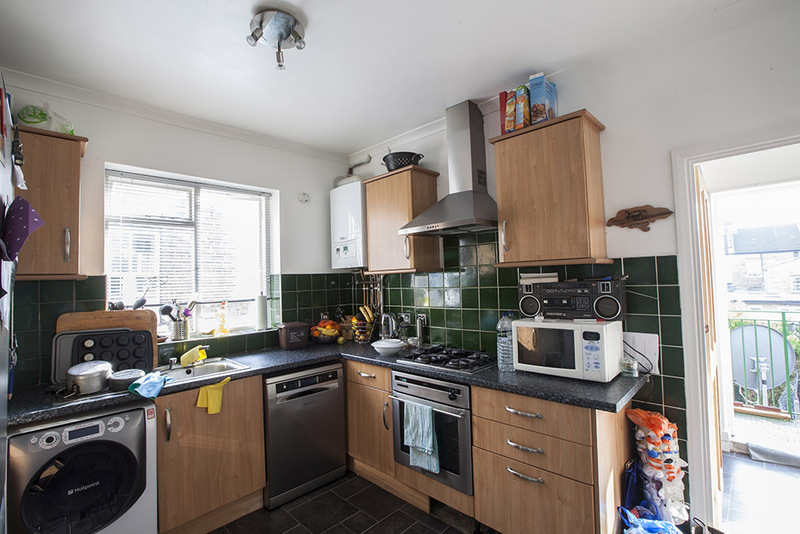 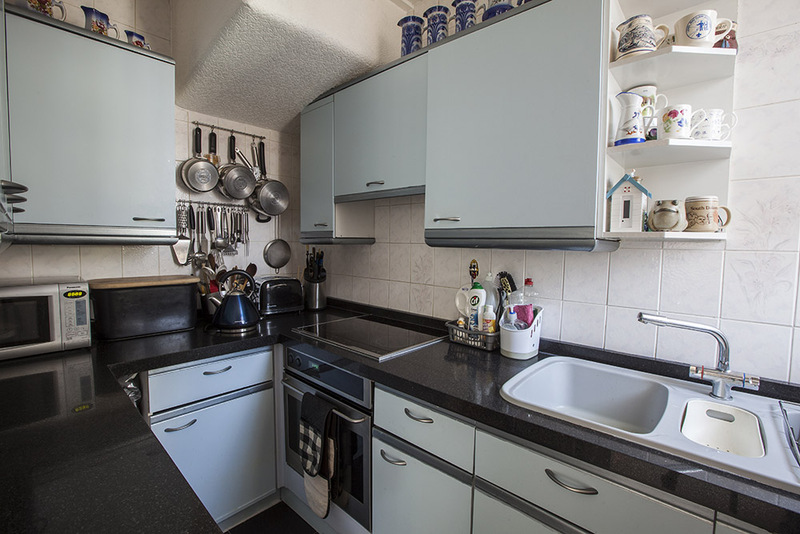 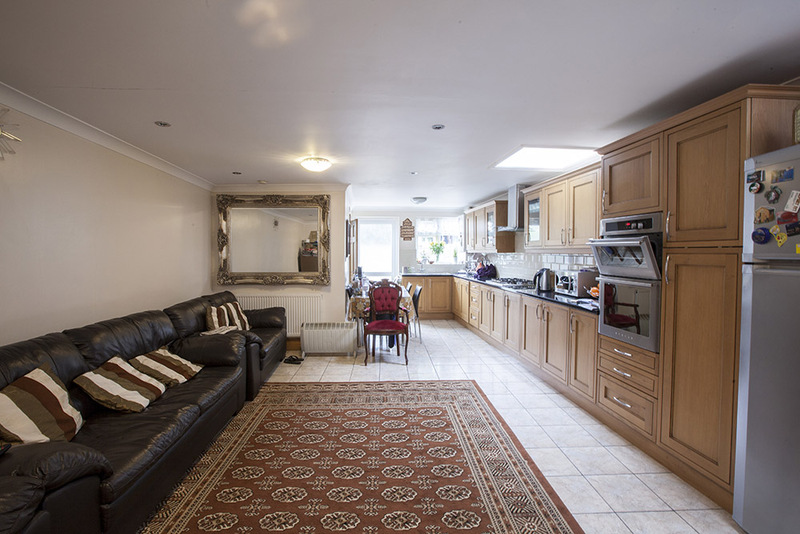 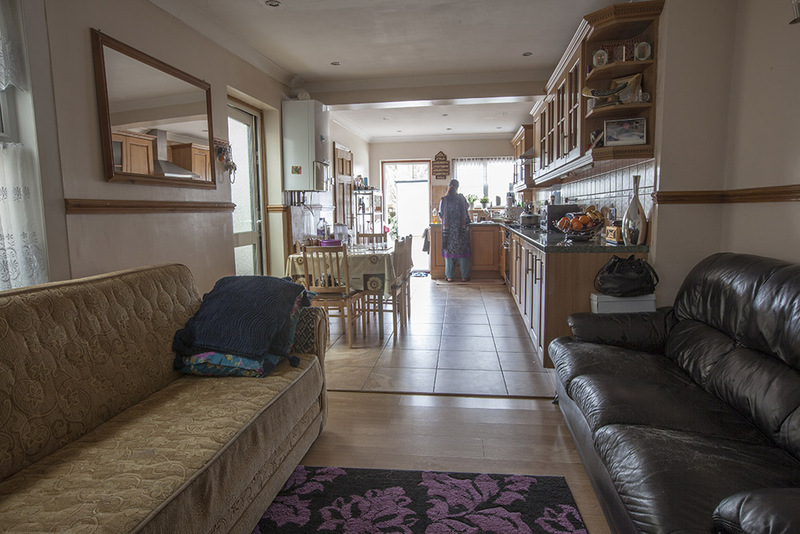 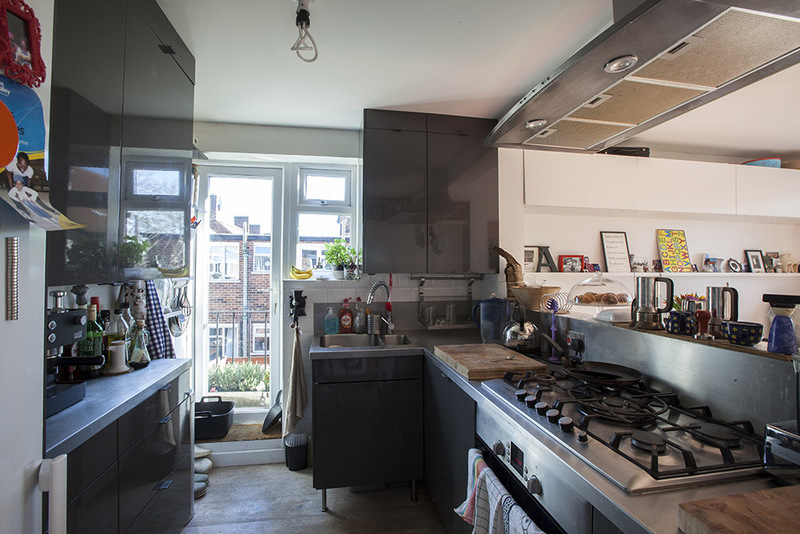 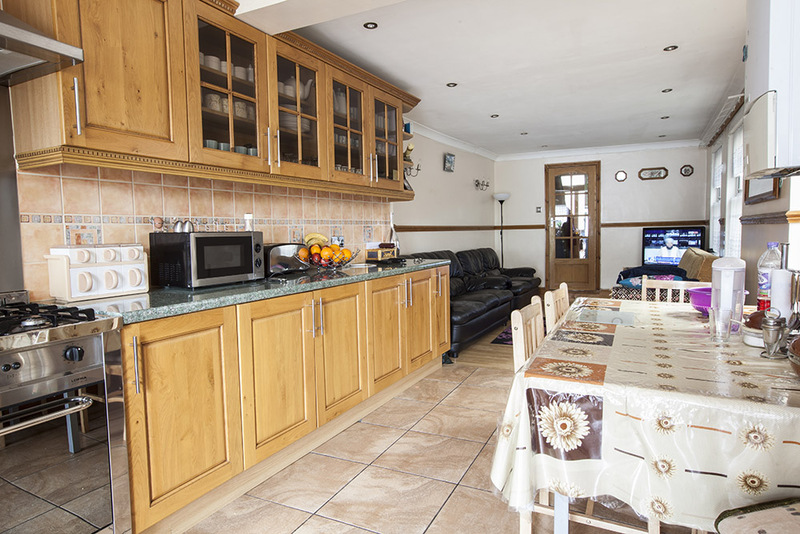 As with two-bedroom flats, kitchen ranges were removed and new cookers installed.